There are many ways to gain new business for your plumbing company, and while properly executing repairs are certainly effective to gain a new customer’s trust, preventative services can also go a long way in establishing a long-term relationship. Because we specialize in website design and content creation for plumbers, we understand that there are a variety of services for which you want your business site to be optimized so that you show up high in the search rankings. 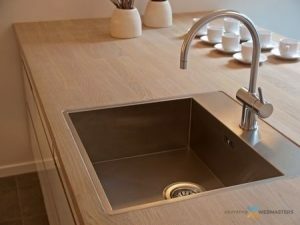 Drain cleaning services have become increasingly popular with our many successful plumbing clients who’ve entrusted us to build and manage their professional websites on a regular basis. This is an opportunity to appeal to new customers who are already in need of your services, as well as those who are more maintenance-minded and likely to stay with you for the long haul for all of their residential or commercial plumbing needs. Knowing the value of this service and how many consumers actively seek out professional drain cleaning, we make sure to include original, quality content on your site about the subject so that you show up as people search in your area. As another example, if a commercial customer in your neighborhood searches for “leak repair,” we want your name at the top of that list just as much as you do. Making sure that your site is constructed from top to bottom to get the search engines’ attention for those keywords and service type will make the difference of whether you’re on page five or in the top five. To get started on upgrading your plumbing business’s website to attract more customers and compete in the search engine rankings in your service area, give us a call today at 877.388.9884!